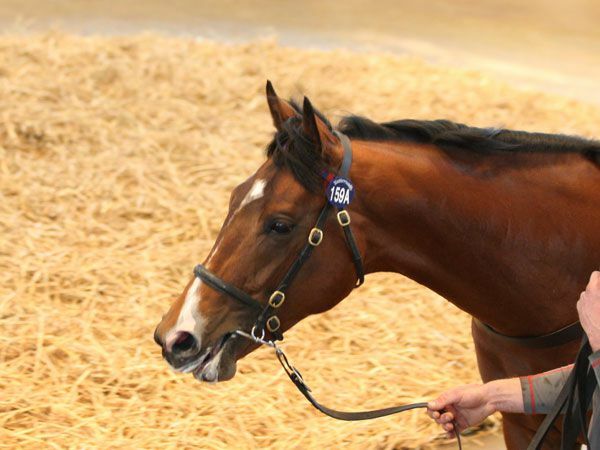 Brisk trade was the order of the day at the Tattersalls Guineas Breeze Up & Horses in Training Sale on the eve of Guineas weekend in Newmarket. 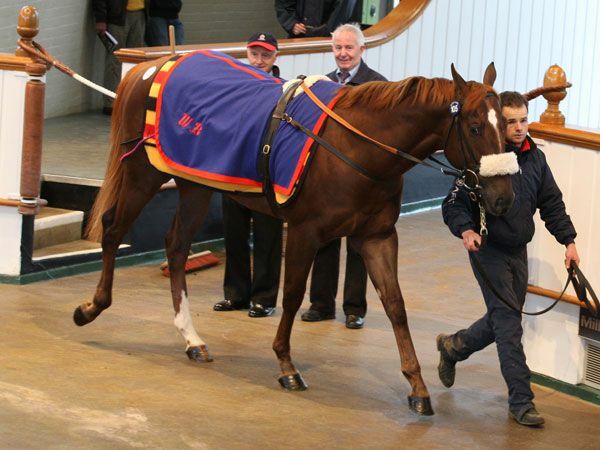 Competition for the breeze up section of the catalogue was especially strong with a clearance rate of 80% and the 78 lots sold realising a total of 2,153,250 guineas at an average of 27,606 guineas and a median of 21,000 guineas. Earlier the horses in training section had realised 261,400 guineas for the 26 lots sold headed by the Group 3 winner FANUNALTER. 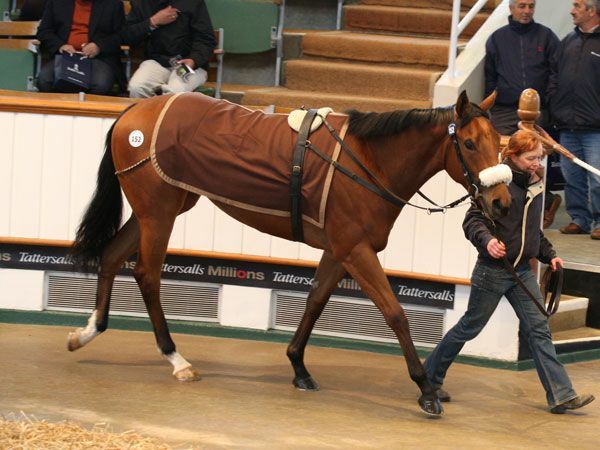 The two sections together saw a total of 104 lots sold for 2,414,650 guineas. The top priced lot for the re-introduced Guineas Sale was the SHAMARDAL colt out of the PIVOTAL mare PIVOTAL’S PRINCESS who was knocked down to David Redvers for 115,000 guineas. Redvers secured the Mocklershill consigned colt after he saw off Gill Richardson and Wolfgang Figge. "He is a proper horse," said Redvers, who had just the one bid. "The dam's first foal is rated 96, and this chap is all speed - he did a very fast time despite the going and he was not hard ridden at all. He is a lovely type for a big horse. "He is for Qatar Racing, and a trainer has not yet been decided. We have a few more to buy and we will decide upon trainers once they have all been bought. This horse will probably come back to Tweenhills in the interim." Redvers, via Hannah Wall struck a further three times throughout the remainder of the day, ending as the leading buyer with four lots for a total of 357,000 guineas. There was plenty of interest in the Wild Card lots including Lot 159A, the ACCLAMATION colt out of the RAHY mare APPLAUD which was knocked down to Peter Doyle for 95,000 guineas. 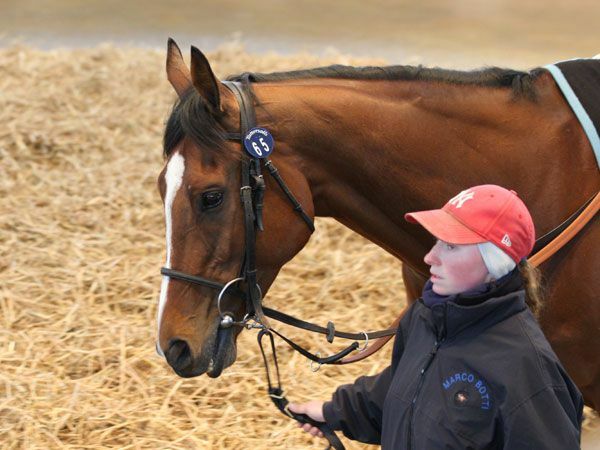 "He will go to Richard Hannon and is for Robin Heffer as a birthday present for his wife Judy," said Doyle. "He was the pick of the sale, but there will be no rush with him. He has plenty of size about him, and handled the ground and everything well, he strode out nicely." Earlier in the day the Marco Botti’s Group 3 Diomed Stakes winner FANUNALTER proved the star attraction when knocked down to Jalil al Mallah for 67,000 guineas after he saw off Dandy Nicholls. "I came all the way from Bahrain for this horse," smiled Jalil al Mallah. "The horse will go from here into training with Michael Wigham until July. I am coming back for the Tattersalls July Sale and Fanunalter will be shipped to Qatar then to go to Azziz Al Katiri's stables. "This horse should do well in Qatar - he acts on the good to firm, and stays well, which is important as most of the valuable races in Qatar are staying races. He seems a classy type." “Reintroducing the Guineas Breeze Up Sale with the addition of a horses in training section was not a decision we took lightly, but today’s trade has fully vindicated the decision. There has been real strength and depth to the market at all levels and without doubt the new horses in training part of the catalogue has helped to attract a wide cross section of international buyers to complement the domestic demand. The sale has produced very respectable returns across the board and achieved an enviable clearance rate which has bettered all previous Guineas Breeze Up Sales.